Following the Mayor of London’s announcement of a £38 million fund for community-led housing, Jon Fitzmaurice reflects on some successful schemes from across the country. Many people have probably forgotten that quite a few of today’s largest housing associations had very modest beginnings and were often the creation of local activists. Huge organisations like Onward (Liverpool Housing Trust), Midland Heart (Midland Area HA), Genesis (Paddington Churches HA) Notting Hill HA and Hyde HA, all started off as very small scale local initiatives, driven by groups of people simply getting hold of a few vacant street properties, in order to house homeless or badly housed people. Ironically, having grown in size, beyond their wildest expectations, a significant number of larger housing associations are now gradually moving away from involvement with the street properties, in favour of concentrating on creating housing through new developments. Arguably this leaves a vacuum, since in many communities it still makes sense to use street properties for small scale projects in order to cater for local need, while simultaneously often contributing to the vitality of an area. Taking on and refurbishing street properties can provide a terrific learning experience, for those involved in negotiations with owners, in securing finance, in organising building works and in running an emergent organisation. 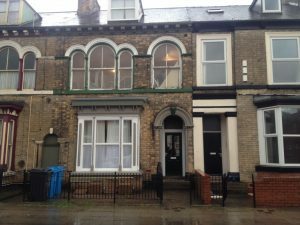 Canopy based in Leeds and Giroscope in Hull are both good examples and are past winners of the World Habitat Award in recognition of their work in creating homes out of empty properties and providing training and employment for local people. Giroscope was set up by a group of students who combined their resources (their giros!) to simply buy a house to provide accommodation. It worked very well and using their experience, they set up an organisation to lease abandoned private sector properties and went on to develop a workforce, which included ex-offenders, to repair properties for local people in housing need. With the support of the local authority, Giroscope have moved onto actually buy properties and have recently completed their 100th house. Meanwhile in Leeds, Canopy have undertaken a similar programme working with volunteers and trainees to repair properties and enabling prospective tenants to work on their own properties. In both cases, being able to build up their own housing stock has provided each organisation with an asset base, which in turn guarantees a regular income and makes it possible to raise further funding to develop more housing. These are just two examples of community driven organisations, backed up by their local authorities, taking on challenges that larger well-resourced organisations no longer want to address. In doing so they create both housing and employment, while contributing to the regeneration of the local area. If you’ve got an idea for a community-led housing project but want to do a little bit more research to see if it could work, enter our Housing Helps competition before 31 January to be in with a chance of winning £10k funding to develop your idea.